CAGED stands for Cluster Analysis of Gene Expression Dynamics. 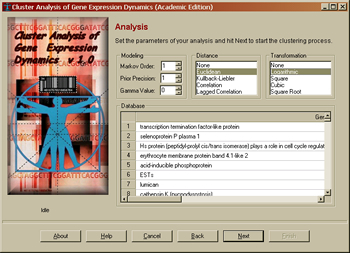 CAGED is a computer program for the analysis of temporal gene expression data. CAGED is based on a method called Bayesian Clustering by Dynamics, which identifies the most probable set of clusters given a set of time series. Although CAGED is designed for temporal data, it can be used as a Bayesian clustering program on a-temporal expression data.